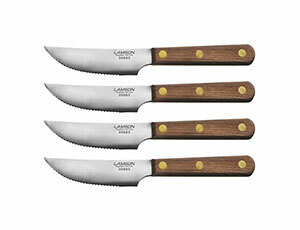 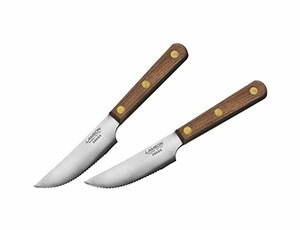 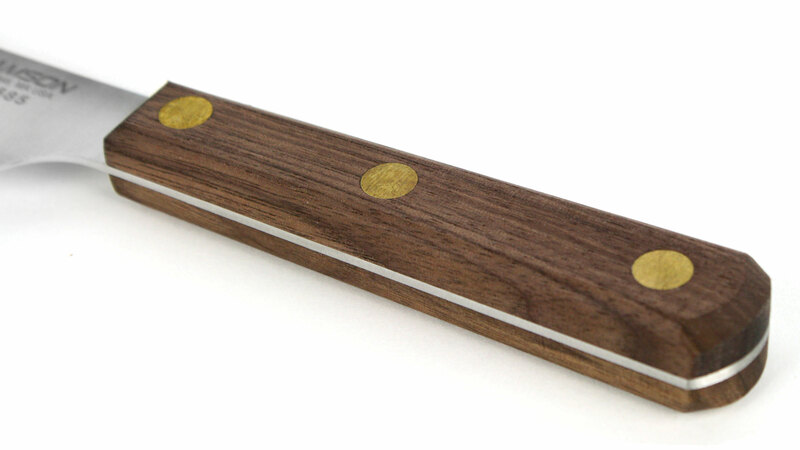 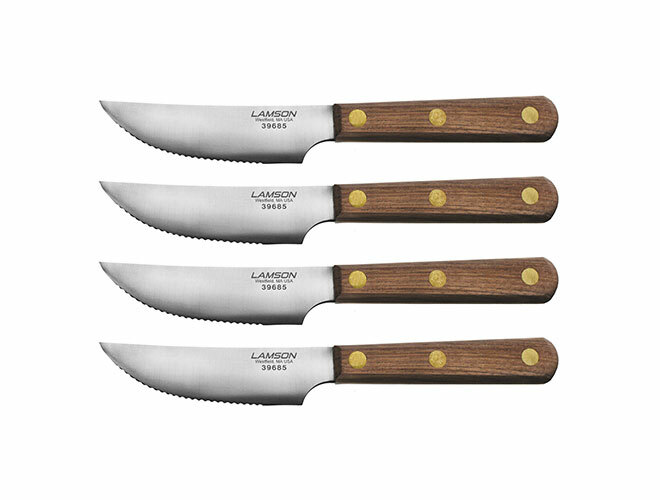 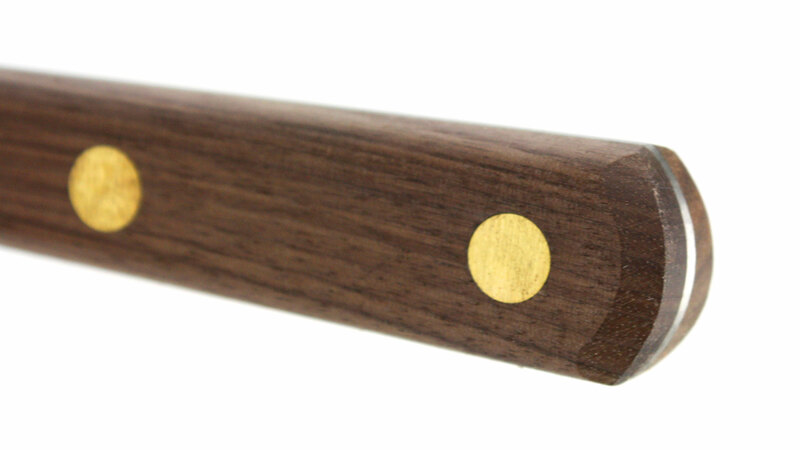 Set includes four 4.5-inch Lamson Walnut Handle Steak Knives. 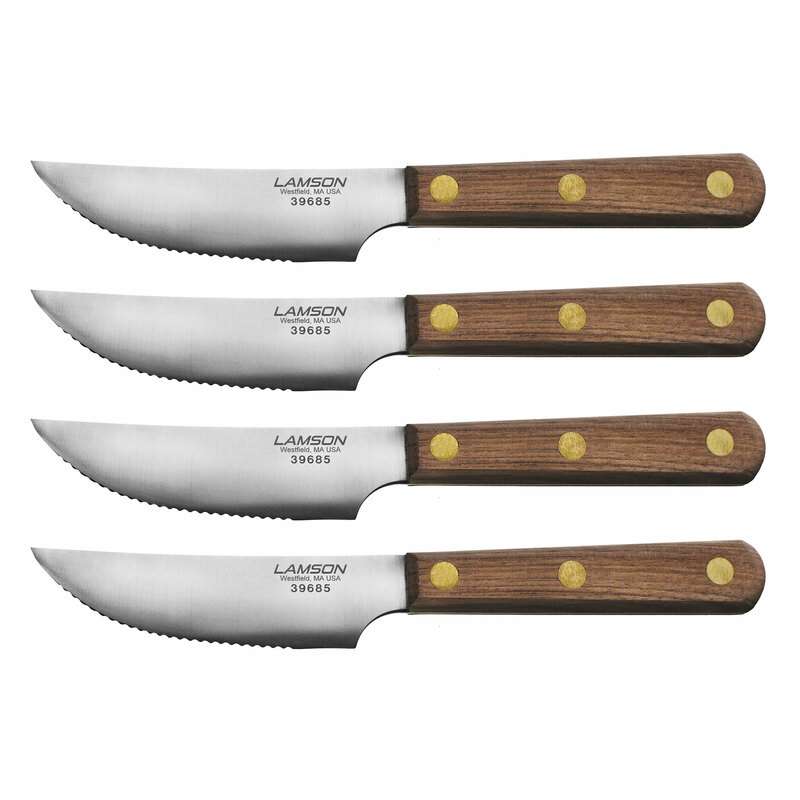 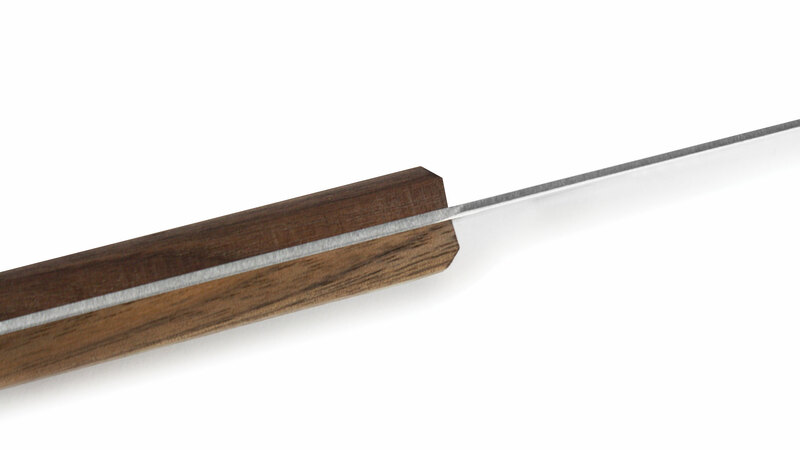 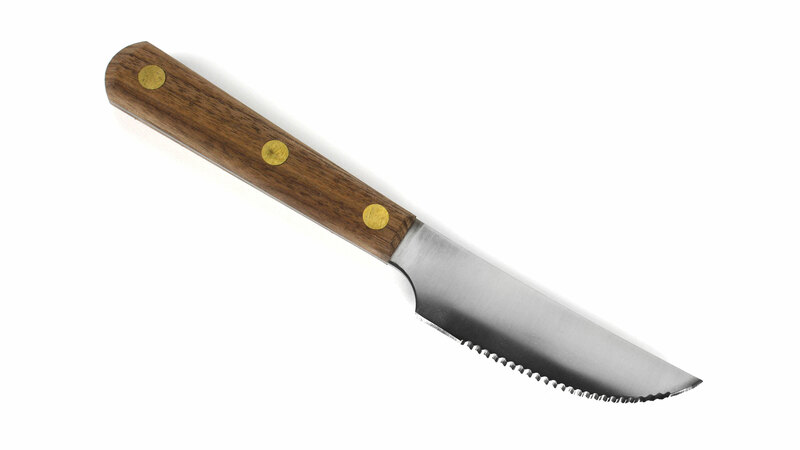 The wide blade and serrated edge cuts perfectly through any thick steak. 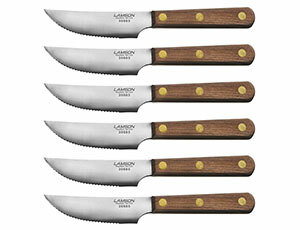 Made in USA since 1837 with a lifetime warranty.